A Sacred Place for Rest, Relaxation, and Renewal. Camp Mokule'ia is the diocesan-affiliated camp and retreat center located on the beautiful, pristine North Shore of O'ahu, 40 miles northwest of Honolulu, at the foot of the Wai'anae Mountain Range. The Camp is located near Ka'ena Point State Park and Natural Area Reserve. The spectacular oceanfront location with its sandy unspoiled beach is a paradise experience for swimming, snorkeling, and kayaking and provides a relaxing environment for all to enjoy. 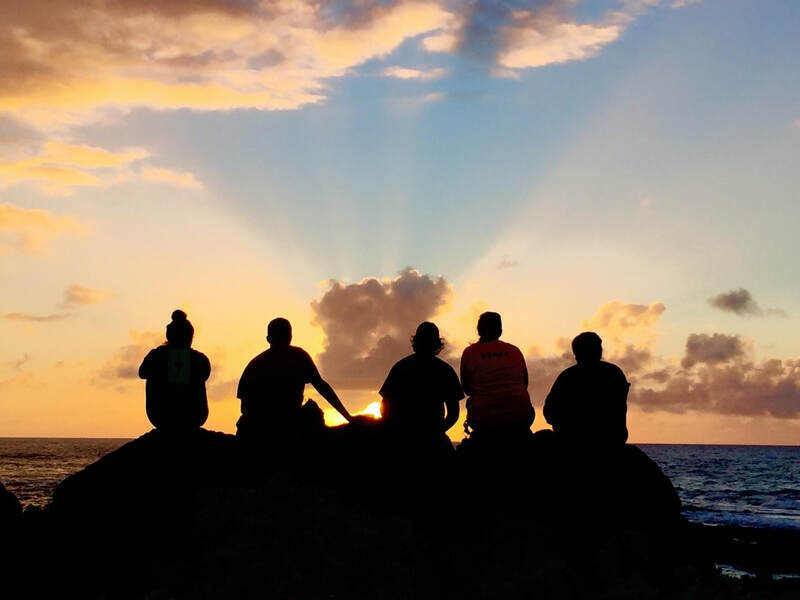 Camp Mokule'ia offers a variety of programs including Summer Camp (on Oahu, Maui, and the Big Island), children’s events, and Youth Ministry for the Diocese. Camp Mokule'ia is the perfect place to host your next retreat or event. Accommodations include a spacious Lodge with 18 private rooms, Cabins that can sleep up to 22, Tentalos, and tent camping sites – all with spectacular ocean views. Camp Mokule'ia also has a swimming pool, full service Dining Hall, and meeting space. Other activities include low ropes, high ropes, zipline, hiking at nearby trails.